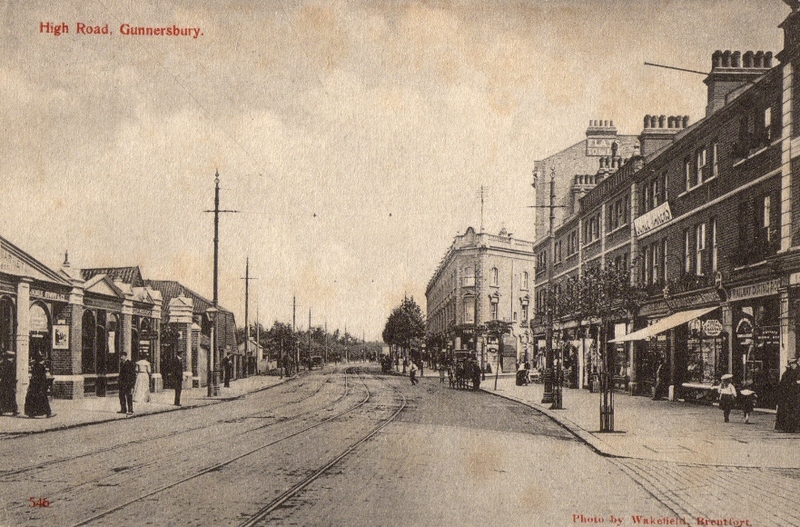 The market is to the left of the photo and on the scan from Vin the date 1893 can just be made out over the entrance. The name James Stout & co is visible. The site also has a postcard showing the market frontage dating from around 1914. To the right signage includes: Scale Makers, Kew Bridge Cigar Stores, Railway Dining Rooms: a reminder of nearby Kew Bridge station; a railway line ran along the side of the market along the 'Kew Curve', to the left of the view below. Just beyond the market lay London Stile Farm.